A Maine OUI is one of the most wearying offenses a law abiding Mainer can face. Have to face an OUI offense alleging a prior is just frustrating. If you have been arrested for your Second Offense OUI, you likely have some questions and are looking for how to fight the second offense OUI charge. I am an experienced OUI defense attorney in Maine. I have handled many Operating Under the Influence OUI, DUI, DWI cases all across Maine, from non aggravated first offences to felony OUI with multiple priors. In Maine, if you are charged with an OUI, any prior OUI or OUI related offenses aggravate the pending charge of OUI. A common example would be a second offense OUI. Overall, in a second offense OUI in Maine, the stakes are higher, with a higher mandatory fine of $700.00, a longer license suspension of 3 years and a mandatory jail sentence of 7 days among the mandatory minimum penalties. With a person’s second OUI charge, the District Attorney is not likely to be sympathetic, as your conviction for the first offense was supposed to have deterred you from re-offending. Therefore, it becomes all the more vital to retain legal counsel to assist you. How a Second Offense OUI is Proven within Maine? What are the Penalties for a Second Offense OUI? How an OUI defense attorney can help? What happens if you have a Second OUI with a License from a Different State? You are considered a second-time offender when you have either a DUI conviction or a DUI related offence including refusals within any state or in Maine within the last 10 years. With a blood alcohol level of 0.08 or higher, you are considered to be legally “intoxicated.” The law also considers being “under the influence of intoxicants” to include illegal drugs and prescription medications. 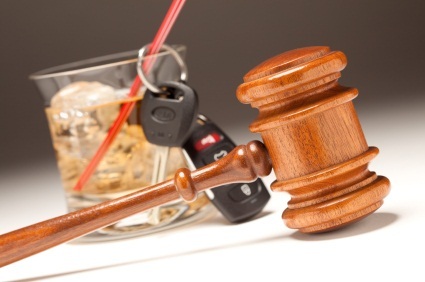 The Maine Law for OUI is Maine Motor Vehicle statute 29-A M.R.S.A. §2411. What are the penalties for a Second Offense OUI in Maine? In some instances, the 7-day mandatory jail sentence can be served in the Second Offender Alternative Sentencing Program (ASP). Alternative Sentencing Program (ASP) allows the convicted person to serve their 7-days by performing supervised community service over a specific week admistered by the county jails. Second Offender Alternative Sentencing Program (ASP) attendees often are presented with drunk driving education programming. Alternative Sentencing Program (ASP) attendees must register with the county jail and pay in advance in order to be able to participate. If the person fails to register for Alternative Sentencing Program (ASP), then the person would have to spend those specific 7 days at the county jail. Did the officer have the requisite reasonable articulable suspicion to pull you over? Did the officer have the requisite probable cause to get you to take an alcohol breath test or other chemical test? Was the officer trained properly to execute the standardized field sobriety tests? Did the officer execute the tests in accordance with standardized procedures? Did the officer fail to ask about any potential health problems that would affect your performance on the Standardized Field Sobriety Tests? Is the officer certified to use the Intoxilyzer? At the time of the arrest, was the Intoxilyzer machine calibrated properly and well maintained? Did the officer observe the proper wait period before breath testing? Did the machine read any error messages during testing? Were proper procedures followed for the blood draw? Were proper procedures followed when the blood was tested? Were there issues with the blood draw sample or instruments? Are there any constitutional problems with the conviction for the prior OUI? Since the prior OUI conviction is being used to aggravate the charge, looking into the prior conviction to assure that it meets constitutional scrutiny can sometimes lead to the removal of the alleged prior from the complaint. Contemplating Employing Expert Witnesses at Trial– Intoxilyzer, Police Procedure, and medical experts can be employed to testify at trial to challenge whether the machine, the test itself, and proper police procedure was applied. An expert’s review is a critical look at the State’s evidence. Contemplating Alcohol or Substance Abuse Treatment– Often a subsequent OUI is a short period of time is an indicator of a larger alcohol abuse problem. One means of achieving a better bargaining position with the State’s Attorney is to tackle this issue head on and meet some the expectation of treatment ahead of time by investing early in alcohol or substance abuse treatment. A conviction of a Second Offense OUI is earned based upon the scientific evidence and compliance with procedures and protocols. It is extremely important having a seasoned Maine OUI attorney in your corner to fight the charge using every legal defense and strategy available. In a Second Offense OUI, the Maine Bureau of Motor Vehicles (BMV) can suspend your driver’s license on the basis of a police report only. In instances of Second Offense OUI, you have the opportunity for an Administrative Hearing at the Bureau of Motor Vehicles (BMV). After your arrest, you would receive a notice in the mail from the BMV warning you that your license is about to go under suspension for three (3) years. Time is of the essence, there is a very small window of opportunity to request an Administrative Hearing. If you do not request an Administrative Hearing, the BMV will suspend your driver’s license. Requesting an Administrative Hearing has the effect of placing a stay (postponement) on your license suspension until after the Administrative Hearing is held. If facing a Second Offense OUI, this stay is critical for you to be able to make the necessary changes to their life and work arrangements while their license is suspended for a longer period of time. At the BMV Administrative Hearing, your attorney will present a case on your behalf, and your attorney should obtain testimony from the arresting officer for use at future court proceedings. If you prevail at the Administrative Hearing, your driver’s license will not go under suspension. Even if your license is not suspended by the BMV, your license still may be suspended from the Court-imposed penalties in the event of a Criminal OUI conviction. Furthermore, if you are facing a suspension for a second offense OUI, there is no right to a work-restricted license. In a Second Offense OUI, the license suspension is significantly longer than for a first offense. In fact it goes from 5 months (150 days) for a first offense to 3 years (36 months). That is more than a 7 fold increase in suspension time! For a Second Offense OUI, the State offers an opportunity for relief from the suspension after nine (9) months with the installation of an Ignition Interlock Device (IID). An IID is an alcohol breathalyzer connected to the ignition of your car . If you have any amount of alcohol in your system, your car will not start. Also, the State of Maine imposes additional penalties on those who attempt to disengage or tamper with the IID after it has been installed. A person becomes eligible for an IID after completing their DEEP (a substance abuse evaluation program) requirement and paying any reinstatement fees to the BMV. DEEP stands for Driver Education and Evaluation Program. In order to have your license reinstated after the first OUI, you probably took the basic weekend-long DEEP course. With a Second Offense OUI, after being evaluated by the DEEP Office, it is possible that you might be recommended to take a longer, more intensive intervention, such as by engaging in one-on-one substance abuse counseling. Completion of your DEEP component is required in order to become eligible for the IID, and so when you are able to apply for an IID depends upon when you complete your DEEP component. Generally, I recommend that clients complete their DEEP component as soon as possible. Another area your lawyer can help is to review the legal procedure and what to expect. In Maine we have two processes which I’ll review to give you a frame of reference on what to expect and how an attorney can assist you in fighting this charge. You will only go through one process, but it depends upon the county where the charge was placed. As always if you have any questions, please give me a call. Since a Second Offense OUI charge is a misdemeanor, the first court date is an Arraignment at the Unified Criminal Docket, which is in effect in Cumberland County and Penobscot County only. Often, I will submit a plea of Not Guilty in writing to the Court prior to Arraignment, and so the first court date that the defendant attends in person is the Dispositional Conference. A Dispositional Conference is where the attorneys negotiate a potential resolution to the case without going to trial, and the attorneys conference with the Judge or Justice about any specific issues. If no resolution is reached, then the case would progress to pretrial motion hearings and a Trial. The Unified Criminal Docket pre-schedules a two-week window within which the Jury Selection and Trial would be held. Jury Selection is for the purpose of selecting a jury, and then a trial date is set. At trial, the Jury is the fact finder who will determine whether or not you are guilty or not guilty. Again, since the Second Offense OUI charge is a misdemeanor, the first court date is an Arraignment at the Maine District Court There are several District Courts all across Maine. In the majority of OUI cases, which can be very suitable for a jury trial, I like to submit a plea of Not Guilty ahead of the Arraignment, as well as a Jury Trial Request and any potential pretrial motions within 21 days of the Arraignment. This transfers the case to a County Superior Court in Maine, where a jury trial is available. The first court date at the Superior Court is a Docket Call, where the attorneys meet to attempt to reach an acceptable agreement to resolve the case without a trial. If no agreement is reached that is acceptable to the defendant, then the case will have pretrial motion hearings and a trial. Similar to the Unified Criminal Docket, pretrial motions can include a Hearing on a Motion to Suppress, among others. The purpose of the Suppression Hearing is to determine whether certain evidence was obtained in violation of the defendant’s constitutional rights, and thus whether that evidence can be used at trial. At the Jury Selection date, a jury of 12 plus a few alternates is selected to hear the case. After a jury is selected, a trial date is set. A trial is the defendant’s “day in court” to determine whether the defendant is guilty or not guilty. Out of State clients might not be able to attend court in person. If the client got the OUI while they were vacationing in Maine, they might not be able to travel back to Maine to address their case in person. Even if you do not attend Arraignment, if your case goes to trial, you would have to attend the trial in person, especially if you were testifying on your own behalf. Out of State clients have different concerns with regard to the Maine BMV administrative suspension. 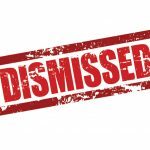 While the Maine BMV can suspend a person’s driving privileges within the State of Maine, this suspension might not affect the out-of-State client in their home state unless their home DMV is notified of the BMV suspension or an OUI conviction. Therefore, the best defense to a license suspension in your home state is to fight the BMV suspension and get the OUI dismissed or found Not Guilty. When you are facing a Second Maine OUI Offense, your lifestyle is at risk. Taking swift action to have an aggressive experienced OUI attorney helping you navigate the Maine legal system and assure there is minimal impact to your future. There are proven strategies to defending a second OUI Offense. The sooner our legal team becomes involved in the intricate details of case, the more time we will have to do our own fact finding as we help to prepare your defense. Effective action taken by a skilled Maine OUI defense lawyer as soon as the charges are filed by the DA sometimes can result in a lesser charge or in some cases prevent any additional charges from being filed. Whether the second OUI Offense is due to alcohol, drugs or prescription drugs, it only helps you to contact our firm as quickly as possible after the arrest.